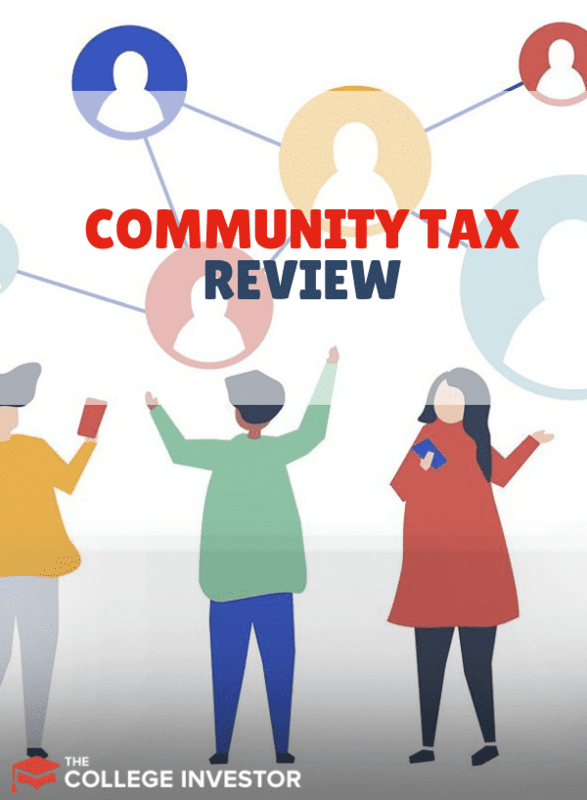 Community Tax Review | Who It's For, Programs, Fees & More! Do you have a particularly complicated tax situation, one where you don't feel comfortable preparing your return with tax software? Have you been audited by the IRS in the past, or worry that you will be in the future? Are you dealing with an open tax issue that's in desperate need of resolution? If any of these situations apply to you, Community Tax is a service worth investigating. It's not simply a tax preparation service, but a comprehensive tax service, handling all your tax needs from preparation to tax resolution to audit defense. Who Should Use Community Tax In 2019? Community Tax is a full-service tax company that operates under the names Community Tax Relief and Community Tax Service. The Tax Relief designation is most important here. While the company does offer tax preparation services, their primary business is helping taxpayers deal with tax problems, like audits and delinquent taxes. They also provide accounting and payroll services for small to medium-sized businesses. The company was founded in 2010 and is based in Chicago. They maintain a staff of certified public accountants (CPAs), enrolled agents (EAs), and accountants specializing in tax issues. From an income tax preparation standpoint, Community Tax is not an online tax preparation software. Instead, it's more of a traditional CPA firm, but one that specializes in people with either tax problems or complicated tax preparation issues. This is not a service that will be attractive to the average person just looking to prepare their taxes quickly and easily and with a fast refund. But if you have a particularly difficult tax situation or you're having difficulties with the tax authorities, Community Tax can be a good choice. The company has a Better Business Bureau rating of A+ (on a scale of A+ to F) and has been BBB accredited since 2015. Tax relief is the main service of Community Tax. They work with taxpayers who are having issues with the IRS or state tax authorities. Offers in Compromise: a process that works to reduce the amount of taxes owed, usually due to financial hardship. Installment Agreement: if you can't pay your taxes in full, an installment agreement can be set up to enable you to make payments over as long as 72 months. Stair Step Agreement: allows the taxpayer to pay off an unrelated obligation, such as child support or a car loan while making smaller payments to the IRS until the other obligation has been paid. Partial Pay Installment Agreement: the IRS agrees to accept lower payments, based on financial hardship. Whatever balance of the taxes due that’s still outstanding after 10 years is forgiven. Penalty Abatement: Community Tax can work with the IRS to have any penalties associated with your tax situation removed. This won't eliminate your tax liability or accumulated interest, but it will at least remove the penalty portion, which can be substantial. These are just some of the services Community Tax Relief offers to help taxpayers deal with an open obligation to the IRS, or state tax agencies. The process starts with a thorough review of your tax situation. This will take five days, after which you'll receive a price for the services that will be performed. Community Tax Relief advises that the resolution process itself can take anywhere from one week to one year. While many taxpayers have become proficient in self-preparing their returns using tax preparation software, dealing with a complicated tax problem is a specialization. If you're facing one now, Community Tax Relief can provide the very specific professional help you’ll need. Since tax resolution situations vary considerably in complexity, you'll have to contact the company to determine their exact fees. Though they don't provide the information on the website, a phone call to the company revealed a typical tax resolution situation can range from a few hundred dollars for a simple situation, to several thousand for a very complicated one. The type of resolution required (some are more complicated than others). The amount of tax liability involved. The complexity of your specific tax situation. For example, a person with five businesses will be much more complicated than one with a single business. If you need to use the tax relief service, you'll need to contact the company and provide the specifics of your situation, as well as any necessary documentation. A tax professional will review your situation and give you a flat fee on the price for the work that needs to be done. When you work with Community Tax, you are assigned a dedicated tax preparer who will handle the process. The Community Tax preparation team completes continuing education and ongoing training to make sure they’re fully versed in the latest IRS regulations, as well as those for the specific states. Deductible expense documentation, such as medical expenses, mortgage interest and property taxes, and charitable deductions. Previous year’s tax returns if you’re a new client. Once the return is completed, it's submitted to a review team of CPAs, who will analyze the return to ensure the quality of the final product. Since Community Tax specializes in tax resolution problems, they prepare returns in a manner that will avoid future tax problems. This will include personal tax planning, which will help minimize your tax liability as well as ensure proper payment of taxes on an ongoing basis. Unlike most CPA firms, Community Tax uses flat fee pricing, rather than hourly. This can be a major benefit if you have a fairly complicated tax return. However, this is higher than most online options, including virtual tax preparation services. One of the core services offered by Community Tax is avoidance of future tax problems. Community Tax handles this by offering three different assurance programs. Each has its own level of services provided, as well as a unique fee structure. This is a free service offered by Community Tax. Tax account monitoring: Community Tax will monitor your personal and business tax accounts, by accessing your IRS master file electronically. Access IRS Transcripts: You’ll have complete access to your IRS tax transcript. Helpful Tax Information: You'll receive company newsletters, the tax blog, helpful tax tips, as well as key dates and deadlines. You'll also receive special offers and discount codes to help you save money on tax preparation. Access to TaxPal: This is a mobile app providing 24-hour tax monitoring and alerts. This is a premium level plan, with a monthly fee of $34.99. All free Assurance Access services. Estimated tax payment alerts and reminders. Direct member access to tax practitioners. Free automatic income tax return extension. Free tax-related ID theft repair and restoration. Free garnishment investigation by a tax practitioner. 20% discount on future resolution services. This is a premium service offered by Community Tax specifically for business taxpayers. All Assurance and Executive Access services. Customized all-inclusive accounting plan. Includes bookkeeping, payroll, contract labor filings, excise tax filings, state employment, state unemployment, and state and local sales tax filings. Free annual business income tax return preparation. Free automatic business income tax return extension. Direct member access to CPAs. Annual tax advantage strategy and individualized tax planning strategy from a skilled CPA. Availability. Community Tax is available to taxpayers across the country. Customer Service. Available by phone, online chat or by email, from 8:00 am to 8:00 pm, Monday through Thursday: 8:00 am to 6:00 pm on Fridays, and 9:00 am to 5:00 pm on Saturdays. Their offices are closed on Sundays and holidays. Audit Defense Guarantee. Comes with the premium Assurance Programs. Your return is guaranteed against an IRS audit, and will receive representation by an in-house tax practitioner. This service has a value of $5,000. Requires a minimum six-month membership in either the Executive or Enterprise Access plans. Tax Related ID Theft Repair and Restoration. Available for the Executive and Enterprise Access plans. Works to protect you against fraudulent filing of your personal income tax returns, enabling the thief to claim a bogus tax refund. The service works directly with the IRS Identity Protection Specialization Unit. Digital storage of all tax forms. Community Tax stores your tax records for seven years with their fully accessible document cloud. This service is available for Executive and Enterprise Access plan members. Educational tax resources. The website offers a tax blog, common tax questions, a glossary of common tax terms, as well as a tax form library. They even provide a list of common IRS notices, complete with explanations for each. At this time of year, tax preparation is on everyone's mind. Most people are busy searching for the best tax preparation software to prepare their own taxes. And that's absolutely fine for the majority of taxpayers. But, not all taxpayers should self-prepare their returns, even using the best tax software programs. If your tax return is sufficiently complicated and it may raise questions with the IRS, or even invite an audit, you'll probably be better off working with tax professionals. Community Tax is a dedicated, full-service tax organization which will handle everything from the preparation of your return to audit defense to problem resolution. In fact, tax problem resolution is what Community Tax specializes in. 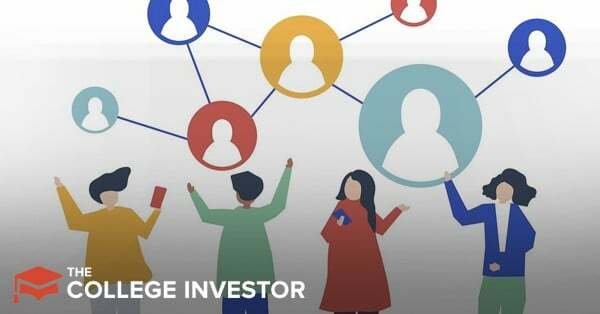 If you’ve had a problem with the IRS in the past or have an open tax obligation – or the possibility of one pending – Community Tax could be the solution to your problem. Not only will they help you to resolve tax issues, but their entire approach to taxes is one geared towards avoiding tax complications in the future. If your tax situation doesn't fit neatly within the service levels provided by tax preparation software, check out Community Tax.